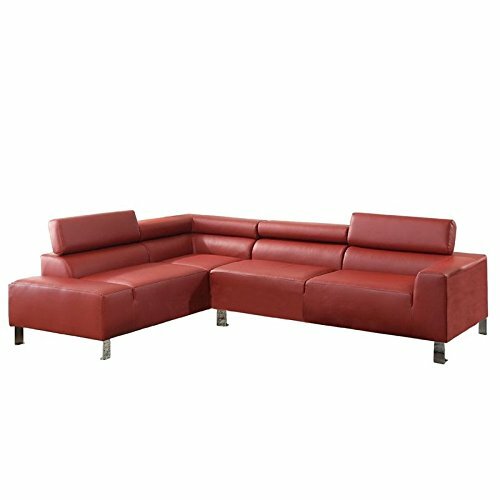 Flex your style with this futuristic 2-piece sectional sofa that features clean and sleek lines. Each piece includes adjustable head rests and wide seating and chrome accent support legs. Available in espresso and burgundy. If you have any questions about this product by Poundex, contact us by completing and submitting the form below. If you are looking for a specif part number, please include it with your message.